My name is Diane Finlay. I set up a company called Find Publishing Pty Ltd in 2005 so that I could use this platform to self-publish and market my books. My first book was a children’s story book called The Duck With No Quack and six years later I’m still selling it, which is thrilling because with my first print run I was really nervous. Since then I have self-published a chap book of poetry called From The Heart which is a collection of 20 of my poems. I make these books to order so they are quite unique. 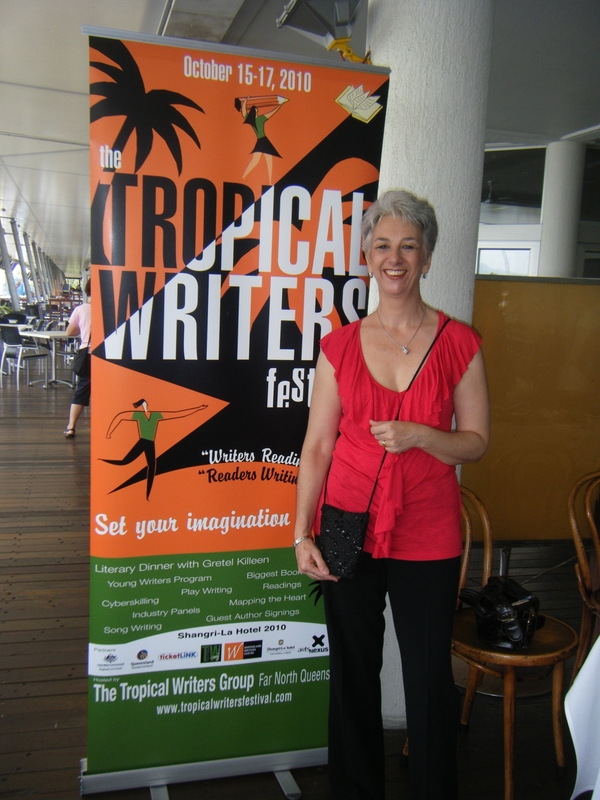 My involvement with the Tropical Writers Group www.tropicalwriters.com based in Cairns, Far North Queensland, Australia has lead me on an amazing journey. I have been published in five Tropical Writers Anthologies – Between the Leaves, Mangoes on Fire, Raining on the Sun, Cracks in the Canopy and Category 5. These anthologies have allowed me to hone my skills as a poet and short story writer. My growing confidence in myself as a writer prompted me to submit a story to the annual Short and Twisted anthology. I was successful in 2010 with A point of difference and again in 2011 with Unmasked. My greatest joy is writing for children. I have an ever growing collection of funny, quirky short stories for primary school age children. Recently I have enjoyed a run of successes in having four of my stories and one poem accepted for publication with the New South Wales Schools magazine Comet. The first of these publications Jasper’s problem will appear in the August edition of Comet magazine. I’ve had a sneak preview at the illustrations which will accompany this story and I was blown away. Peter Sheehan www.petersheehan.com has an amazing gift. I think he has actually been inside my head – his illustrations are uncannily close to the pictures I saw as I wrote the story. The Lima Bean Queen, I hate Picnics, Emily the Emotional Onion and Cumquats and Wotnots have now all been published. I’m currently working on my children’s novels, but I still have short stories inside me – just waiting for them to pop out. Good on you Di. I’m inspired. I think I’m learning how this works too. Good work Diane in introducing us to this! Okay after having so much fun I seem to have done something which prevents me from logging into my own site have to work on this. I hope you remember me! I bumped into you at the Tanks recently, and I used to be a member of tropical writers long ago. I don’t know how to contact you other than here. I want to ask a favour. I am writing an article for a magazine about the pros/cons of gaining feedback for writing online as opposed to face-to-face writers group meetings. I though you probably still attend physical writers group meetings and wondered whether you are able to provide any comments/anecdotes about your experiences? And whether you have contact details for anyone else who may also want to provide some comments.